I’m going to devote a few posts to the topic of beta readers. I’m including the posts under “Thoughts on Writing” because beta readers can help writers both traditionally and self-published. 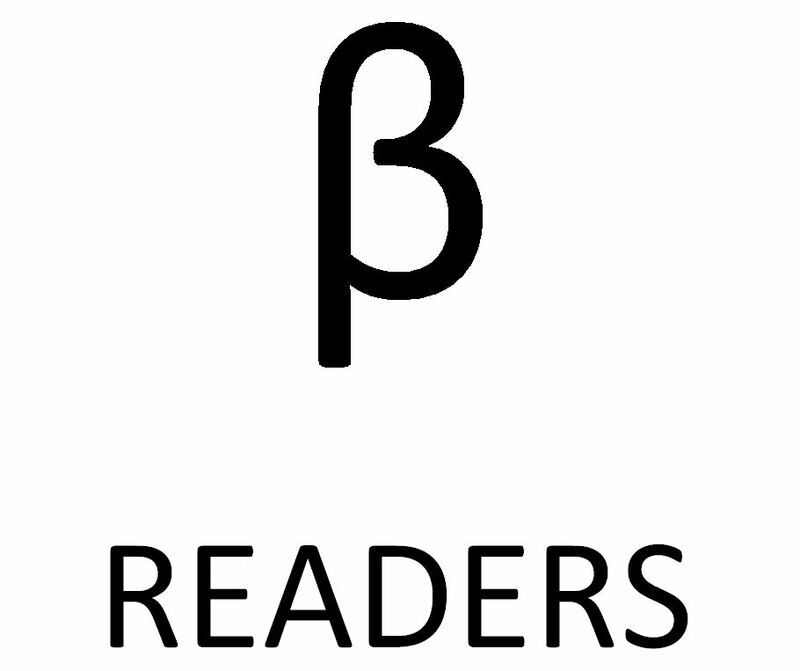 This post is about using, finding and preparing beta readers. The next post will ask what do with their feedback. One can have different views on these topics; here’s a link to another blog. What are beta readers? Software developers release beta versions of programs for users to test functionality before the final release. Similarly, before writers publish their manuscripts, they sometimes circulate advanced drafts to beta readers for responses to their stories. Beta readers are usually unpaid. What do beta readers comment on and is it useful? Beta readers comment on anything from whether they found a book interesting, to problems they encountered with plot, characters or setting, to language use, grammar or typos. They’re likely to raise issues that take a writer by surprise. For both The Case for Killing and False Guilt, I found beta reader comments highly useful. When does a writer give beta readers his manuscript? Beta readers are not substitutes for editors, except perhaps for self-published writers on a tight budget. Rather, beta readers contribute to a manuscript’s preparation before it goes to a publisher or freelance editor. For my second book, I also asked a beta reader for comments between the structural edit and copy edit. I wanted to double-check pacing and character development. Where does a writer find beta readers? I use four or five beta readers for each book. They’re family, good friends and acquaintances. As my readership grows, I may use new readers. I understand a writer can find beta readers online but I haven’t tested that. Book clubs and writers’ groups are other good sources. Some commentators say a writer should only choose beta readers if they meet requirements like being a writer themselves or being an avid reader of the manuscript’s genre. I found beta reader comments so useful, I believe beginning writers should accept any potential reader’s interest and be thankful. Using some of the same beta readers for different books can be a good idea. Those readers may comment on the writer’s overall development. If beta readers are unpaid, why do they help? Usually it’s because they’re nice people and intrigued by contributing to a book’s development. They might also have enjoyed a writer’s earlier writing. If they’re writers themselves, they may look for a return favour. How should a writer prepare beta readers? Quality in, quality out. Provide beta readers with a very good manuscript, even though it likely will change a lot once all comments are in. Also, give beta readers a list of questions to address. My list means beta readers will tell me if they found the book entertaining; what did and didn’t work about plot, characters and settings; and where they found weak writing. Also, I want them to read my manuscript like a book they’ve just bought. Therefore, I ask them to circle the grammar problems and typos they find without reading for that. That’s for my editor – and me! This is a great post. Thanks for sharing this information.